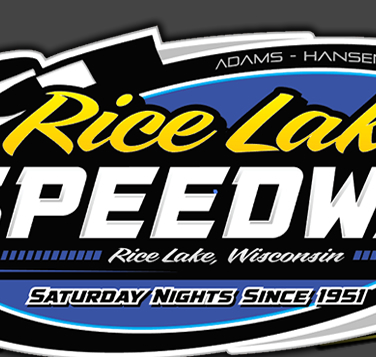 RICE LAKE, WI (August 30) - George Richards and Buddy Hanestad topped the feature races on opening night of the Rice Lake Speedway Labor Day weekend doubleheader Saturday. 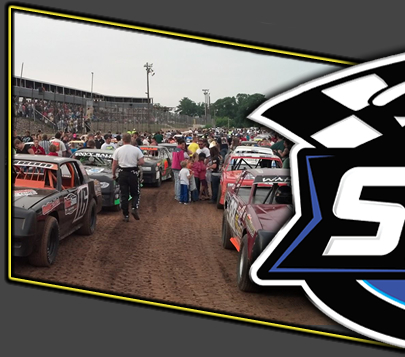 With storms on the way, speedway officials hustled through the program that saw qualifying heat races for the WISSOTA Modifieds, Super Stocks, Midwest Modifieds and Street Stocks along with qualifying and main events for the Pure Stocks and Hornets. 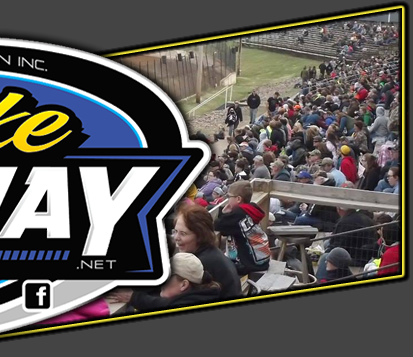 Twenty four Pure Stocks started their main event which was the highest paying Pure Stock main in the area this year. C. J. Wagner got the jump on Jason Havel to take the early lead. Havel was quickly challenged by Richards, Nick Traynor and Jeremy Dahl for the second spot as heavy traffic was the norm in the early going. Two laps were completed when Hunter VanGilder was spun in turn four and the first yellow flag of the event flew. Wagner continued to lead with Richards becoming a threat as he battled Havel for second. The worst wreck occurred on the next lap as Lee Hager got sideways on the front chute and then spun in very heavy traffic where he was slammed hard by Mike Blevins, Rob Grabon and Dan Hensel with all four cars being eliminated from the race. Wagner still held the lead on the green but Richards moved past Havel to take second as Bob Thompson and Darwin Brown were starting to move into contention. John Erickson rolled to a halt as the race went under yellow once again. On the restart Richards used the high side of the track and was able to pull ahead of Wagner and take over the lead. Once in front, George was able to maintain about a two car length lead with a heavy battle taking place for second as Wagner and Havel fought for the position. Meanwhile, Brown continued to battle his way to the front as after starting sixteenth he moved into the top five. Brown then moved past Traynor into fourth and closed on Havel. A lap eleven spin slowed the action and on the restart Wagner pushed hard, nearly getting a nose under Richards on several occasions as George continued to run the high side of the track but was able to edge past Wagner each lap down the chutes. Brown pulled up beside Havel and they raced hard for the third spot with Brown also using the higher side of the race track. One last yellow for a stalled car set up a five lap dash to the finish. Richards got off to a strong restart and put a few car lengths on the field as the battle shifted to second where Brown had pulled up beside Wagner in a battle for second. Brown nearly squeezed by with two laps to go and then made another rush on the final circuit. As Richards raced home unchallenged for the win, Brown edged past Wagner to take the second spot. Havel and Traynor rounded out the top five. Richards earned $700 for his win. The Hornet feature saw Scott Westaby take the initial lead in the fifteen lap headliner but after a yellow for a Derek Reding stall, Hanestad used the low side to pull past Westaby and take over the lead. One lap later Bob Seidler hammered the turn three wall, triggering another yellow flag. Hanestad continued to lead on the restart with Westaby maintaining second. William Voeltz was the driver on the move as he started tenth on the grid and first drove past Kris Kaphing and then Jay Welk to race up to third spot. The race remained under the green the rest of the way and Hanestad drove a smooth race and continued to maintain his lead. He was never seriously challenged as he drove home for the win worth $500 to the second year driver. Westaby finished a solid second with Voeltz next in line and after a long battle, Welk edged out Kaphing for fourth. Sunday, September 1st the four WISSOTA divisions will run their main events along with another full show for the Pure Stocks. Hot laps go at 6:30 p.m. with racing to begin at 7 p.m.